This Step in Time Quilt designed by Anorina of Samelias Mum, The Tutorial is available for free. "My Step in Time Quilt was originally published in Australian Homespun magazine, early 2012. 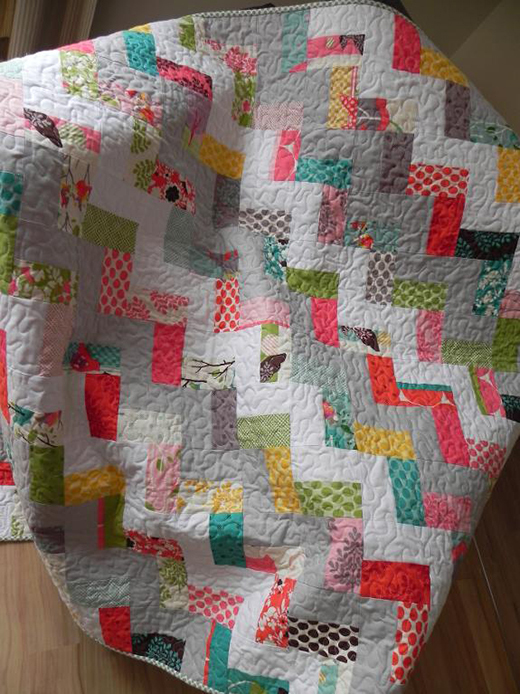 It’s a fun and easy quilt to make and perfect for a beginner who wants to play with some pre-cut fabrics."